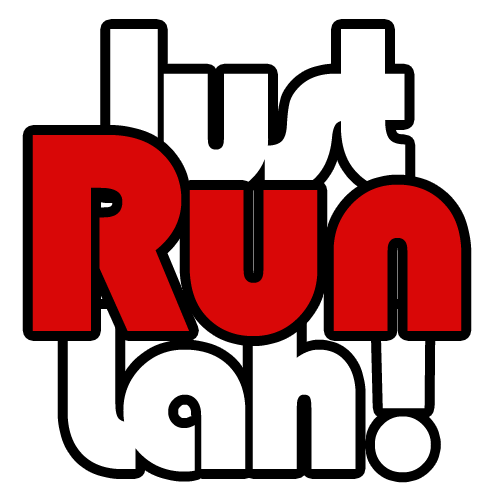 About 1,000 Runners Went the Gracious Mile at Singapore Kindness Run 2017 | JustRunLah! 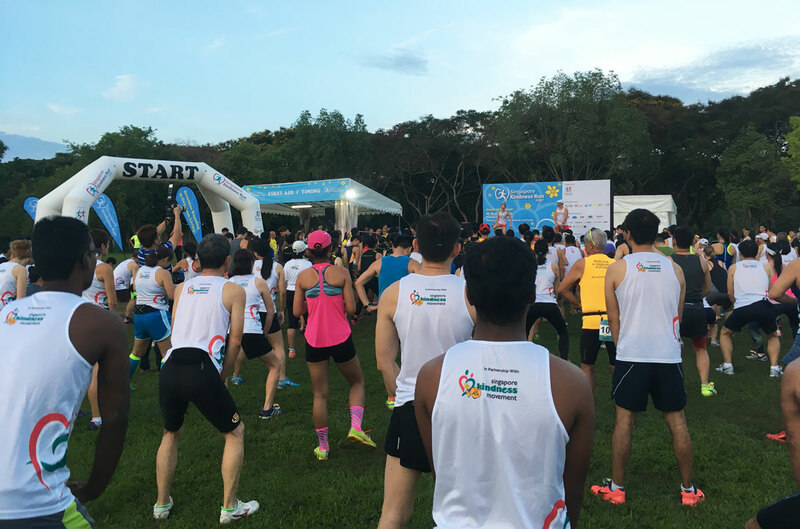 [Press Release] On Sunday, 14 May 2017, Singapore’s first ever Kindness Run saw about 1000 signups where they practiced good running etiquette at Pasir Ris Park. Through racing and engaging in various fringe activities, graciousness was advocated by participants as a whole community. This race is a ground up initiative by Runners’ Heart-Reach, in collaboration with Singapore Kindness Movement, aimed to help build a kinder running community. The event commenced with the arrival and opening remarks of the Guest-of-Honour (GOH), Parliamentary Secretary of Ministry of Culture, Community and Youth and MP for Tampines GRC, Mr Baey Yam Keng. Thereafter, the runners recited the kindness pledge and started the race. Elite Kindness Ambassadors like ‘Mr Singapore Blade Runner’ Md Shariff Abdullah Peters and Singapore’s only Ironman Triathlete, Choo Ling Er were also present to provide encouragement and run alongside the participants. 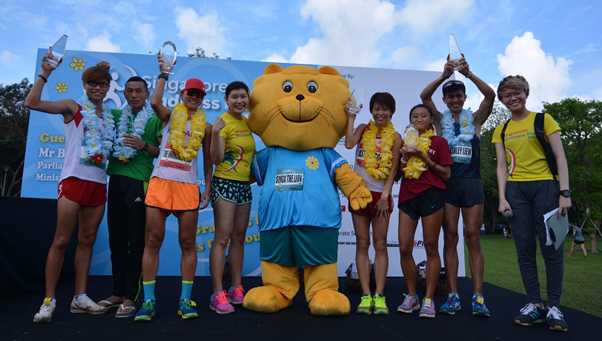 Tilija Suresh and Jasmine Goh emerged first for their respective 10km Mens’ and Womens’ Open. The winners including Tilija Suresh (second from left) and Jasmine Goh (fourth from right), taking a photo with Singa and Ms Rachel Lum, Associate General Secretary, Partnerships from Singapore Kindness Movement (fourth from left). // Photo credit: Singapore Kindness Movement. As the cultivation of kindness starts from young, onsite booths and activities were specially designed to facilitate educational opportunities and quality family bonding time. Many participants braved the heat to be a part of a human daisy formation while others were seen at Singa’s Runfie Zone snapping selfies with the well-loved Kindness Lion. 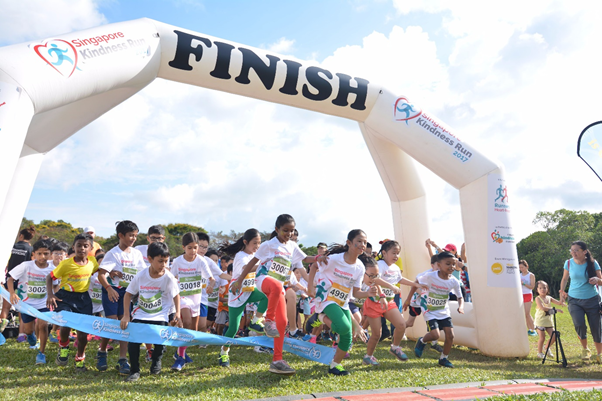 Kids rearing to go at the start point of the 800m Kids’ Dash // Photo credit: Singapore Kindness Movement. It’s a good privilege to be a part of this event, it’s lovely to run with this very kind and accommodating people. Cheers! To all of you. God bless!